An excellent family game of tactics and observation. Originally from the U.S.A. not China as most people assume. The increased size of the pieces makes them easier to hold than those used in our boxed version. For 2 – 6 players aged 6 years - adult. The first player to move all their pieces to the opposite side of the board wins. 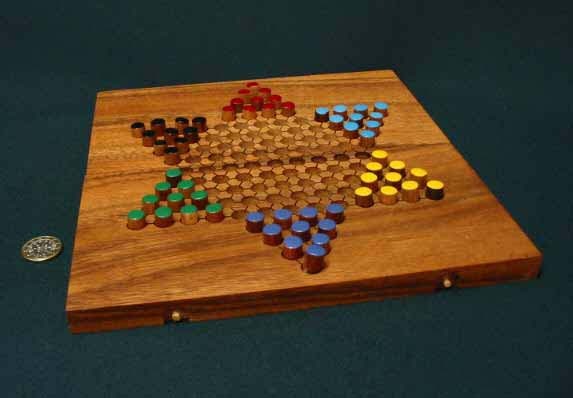 The hollow board folds up to securely hold the matching 10 mm wooden peg playing pieces. Dimensions 252 x 241 x 15 mm. Weight 450 grams.